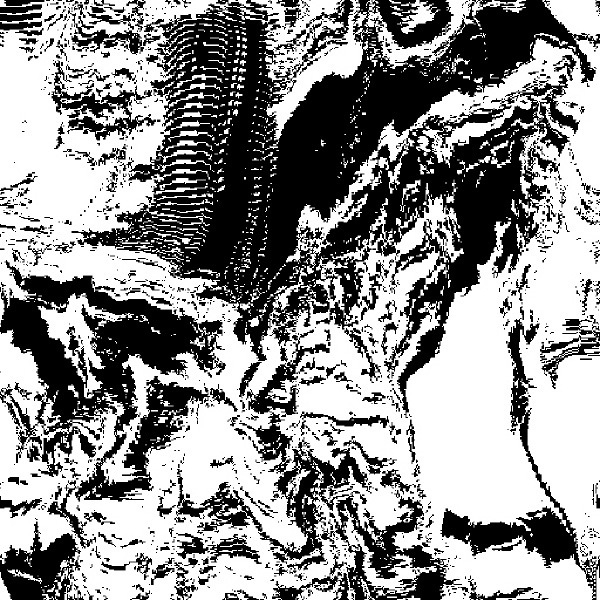 File “July20_Xeno.mov” from “The Year We Make Contact” from Blake Carrington on Vimeo. Statement: The video above is generated from a sound recording of a psychoanalysis session where I mic’ed both myself and a Lacanian therapist. The name of the resulting audio file is “session01_Mono16bit44100.aif”. 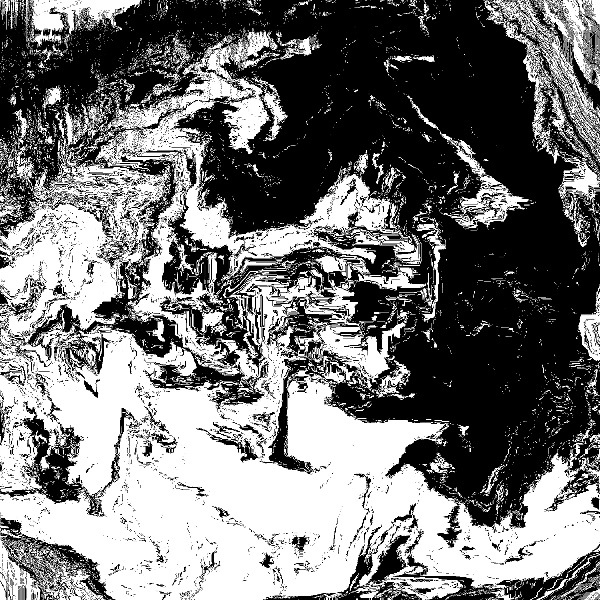 The video was drawn in real-time using a custom software patch built in Max/MSP/Jitter. The sound file is transcoded into a visual waveform, which deposits the layers of sound over time as pixels into the visual matrix. Those pixels are then displaced and propagated within the subjective image universe by a variety of virtual forces. This process outputs a video file of arbitrary size — in the case above, one called July20_Xeno.mov that is 1024 x 1024 pixels. It and most of my work of the past several years explores a concept I call “Speculative Forensics”. The central question to this body of work is one inspired by theoretical physics — can information be lost? This question comes from a debate active for the past 40 years (amongst physicists audacious enough to care about such a thing) known as the Information Loss Paradox. As is common knowledge, anything that passes into a black hole cannot ever escape, including bits of information. There is, however, a seemingly meaningless radiation that emerges. Does that noise contain a scrambled version of the information that went in before? Could we decode it somehow to regain the original bit? Or is information lost forever? 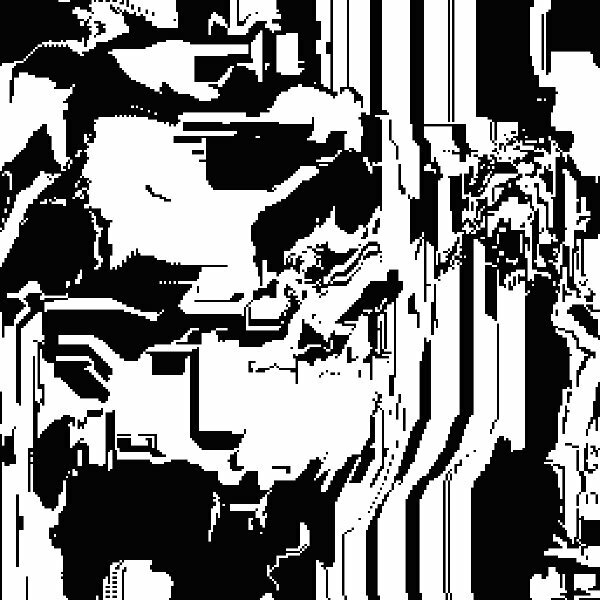 The following images were generated by the same process as above. The dimensional scaling leads us to an homage to [Kazimir]Malevich’s 1915 painting Black Square. However, the single pixel is also a reference to an illustration by occult cosmologist Robert Fludd in his 1617 treatise Utriusque Cosmic. 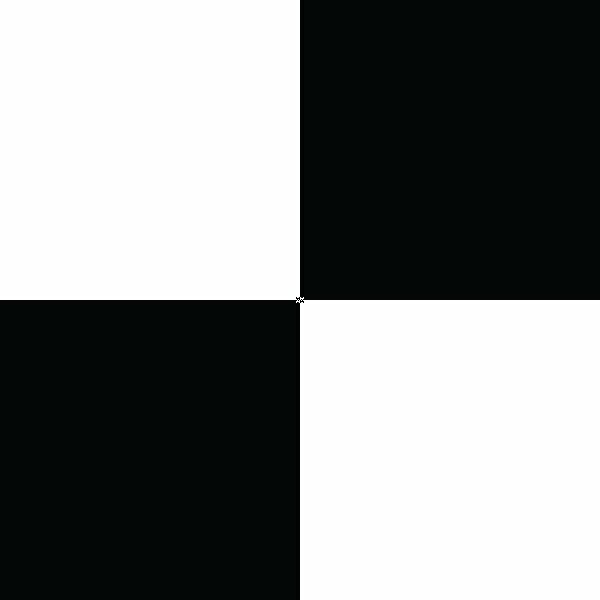 In that work we see a single black square, with text on all four sides reading “Et sic in infinitum” — “And so on to infinity”. Is the single pixel a foundational unit or an infinite expanse? How much power could we unlock from that single pixel? For this feature on In the In-Between I paired up images from this body of work with questions and aphorisms that guide my creative practice. Each image was originally generated at the pixel resolution listed, then was re-sized to 600px for viewing on this website. The image re-sizing was done with Photoshop’s ‘Nearest Neighbor’ algorithm, which discards or creates information without interpolation. 2048 x 2048 Pixels: In the reaction from sound to image, where does the lost information go? 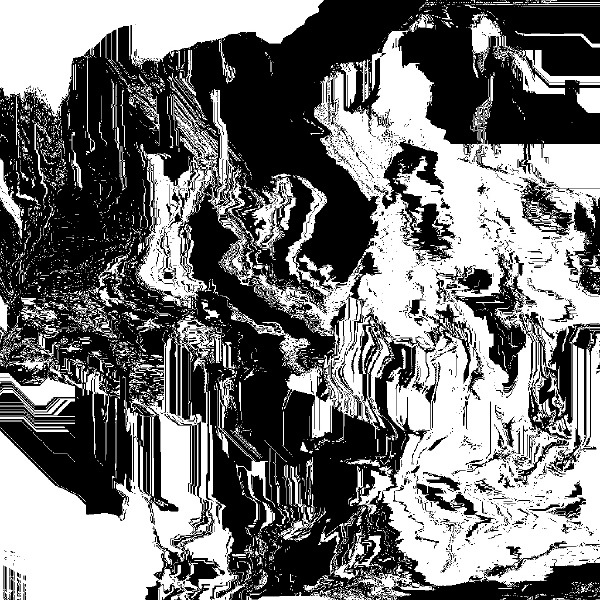 1024 x 1024 Pixels: Discarded information gets converted to heat. How much heat did my laptop produce when it transcoded the file? 512 x 512 Pixels: The 1st Law of Thermodynamics says that the total amount of mass and energy in the universe stays the same. 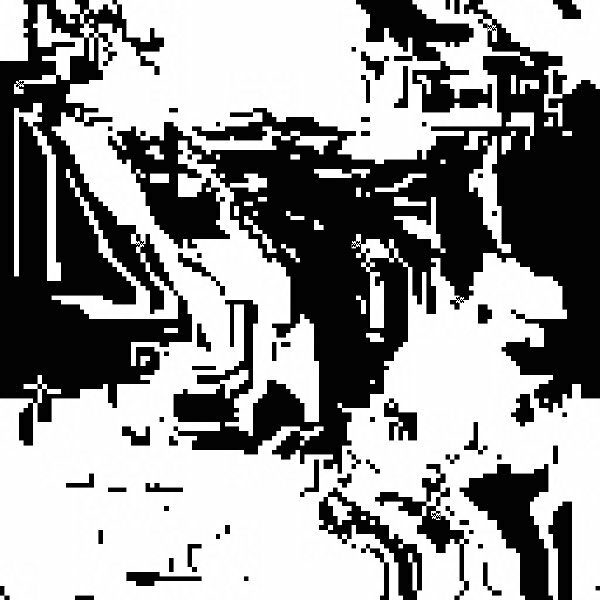 256 x 256 Pixels: So, for bits of information in Black Holes and bits of information in the subconscious, what goes in must come out as radiation. 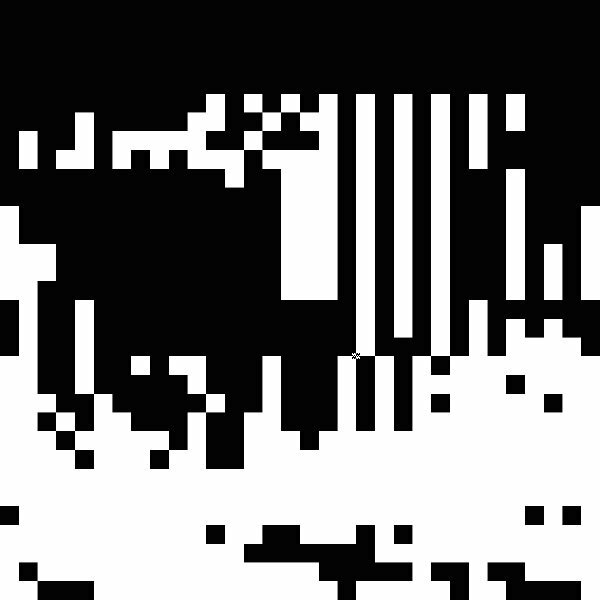 128 x 128 Pixels: Subjectivity is the true fabric of reality. 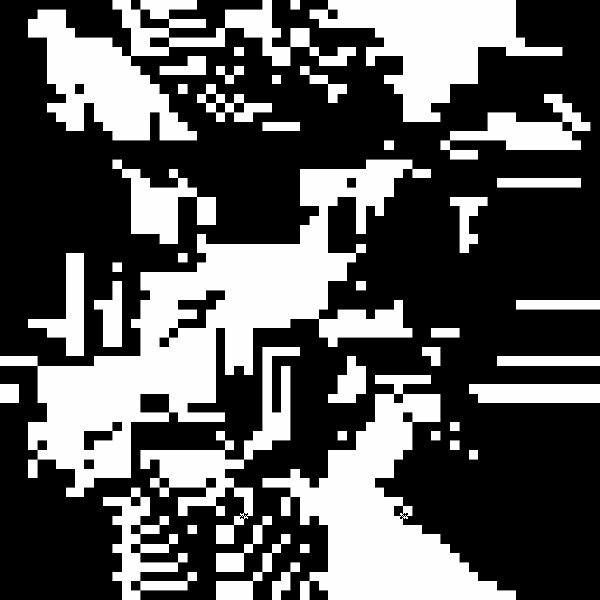 64 x 64 Pixels: Consciousness is a simulation, a user interface that hides all the messy bits from us. 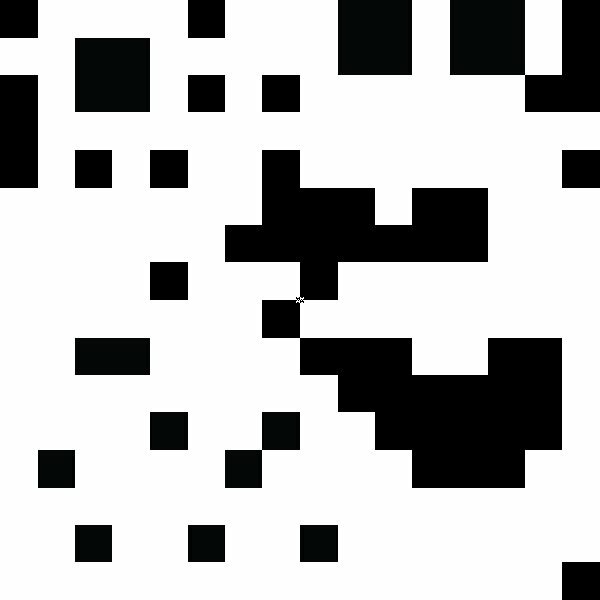 32 x 32 Pixels: Gestalt question — At what point do discrete individuals become a single community? 16 x 16 Pixels: Forensics question — Is it possible to transcode in reverse to get back to where we started? 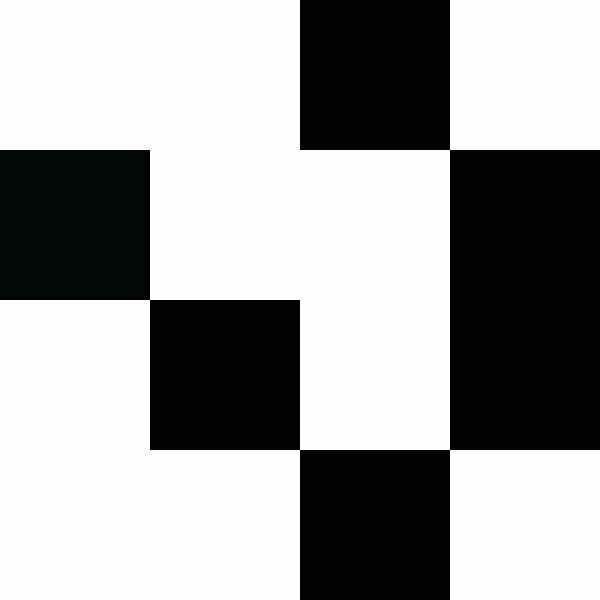 8 x 8 Pixels: A 64-bit answer. 4 x 4 Pixels: A 16-bit answer. 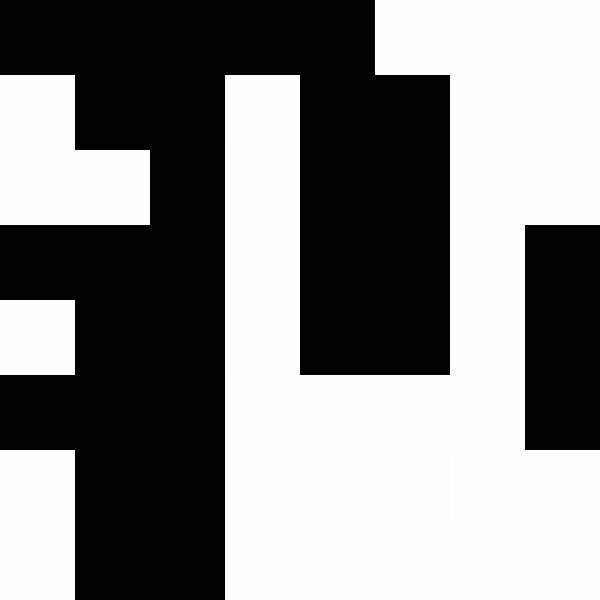 2 x 2 Pixels: A 4-bit answer. 1 Pixel: And thus to infinity in all directions. 0: The system has reached maximum entropy— Universal Heat Death. Bio: Blake Carrington (b. 1980) works within the spheres of the visual, sound, and performing arts. He has had solo exhibitions at Contemporary Art Center New Orleans, Philadelphia Photo Arts Center, and Central Utah Art Center, featuring a range of work from inkjet painting to video installation using custom software systems. Parallel to his work in the visual arts context, he writes and performs original audiovisual compositions and releases full length albums. His debut Cathedral Scan was released in 2011 by the LA-based Dragon’s Eye Recordings, and in 2012 Radio del Museo Reina Sofia in Madrid commissioned a follow-up. Working collaboratively, he has created and performed concert visuals recently with Patti Smith and Soundwalk Collective in New York, Abu Dhabi, Paris and Marseille. He has also co-founded and curated a public art platform called Urban Video Project that has featured work by Trevor Paglen, Jill Magid, and others. He received a Jerome Foundation Travel Study Grant to research media arts in Japan, and was a 2014-2015 NYFA Fellow. Blake was born in Indiana and currently lives and works in Brooklyn.